I recently marathoned the entirety of Star Trek Deep Space 9, partially out of a desire to hold it up against Babylon 5 having learned a few things about the origins of both, and partially because I hadn’t watched so much as an episode in many years, and here’s what I noticed. More to the point, here’s what I remember. Star Trek likes time travel episodes. No, you don’t understand, Star Trek really likes time travel. If Star Trek was in a room with Back To The Future you’d be nudging it every few minutes saying “Go ask them out” but you know it never will. Hurled backwards to the modern day or at least close to it, cast forward to witness dire consequences of their actions, people emerging from before to wonder at the future, or after with dire warnings, time is treated like little more than a location, temporal anomalies every few lightyears, it seems like there’s always some way to shoehorn a little time travel in every few episodes. Since the dominance of the sandbox, railroading gameplay through linear non-divergent story and specific plot paths has become something of a faux-pas in game design, and was never looked upon favourably in tabletop roleplaying. As a player you seek agency, and often that comes from such simple things as choosing which path to take to the same inevitable end, and not following the obvious trail of breadcrumbs laid out for you. These days we laud games for open worlds, multiple endings, and the ability to approach one problem a dozen ways, to play it your way. All but gone are the days of the 3D platformer, and the rail shooter, technology and computing power has given us the power to create actual worlds and weave beautiful stories into them rather than just telling a story and dragging you by the nose along it. But is it so bad a thing that we’re better off entirely being rid of it, and casting away the strictly linear narratives of old? There are times when actually taking your players by the nose and dragging them to the plot is not necessarily an unforgivable act. Here are a couple of examples of uses for, and in defence of railroading your story. Here’s a nice easy one to get this started off. When beginning a campaign, or game, or whatever interactive experience your trying to share, you’ll usually have a few fundamentals to share, basic bits of information to share that’ll allow the player to understand the experiences to follow. A little bit of railroading aids “showing not telling” like the opening test chambers of Portal encouraging thinking with portals. Obduction drives you down a path in pursuit of one of the world-shifting seeds, and leaves you in a small bubble that tells you everything you need to know about the transition mechanics you’ll be playing with. It’s a form of tutorial, but done right it’s so subtle that you barely notice it every replay. We’re guided through set pieces that leave us without doubt about where we’re going or what we’re doing for the rest of the game. There are occasions where your story takes a turn that irrevocably changes everything. No turning back, and no matter what you have done up to this point this moment was unavoidable. Moments like the time-shift in Guild Wars, where the entire “tutorial” felt like an open world in it’s own right, only for everything to change in a single moment. Transitioning from one Mass Effect or Witcher still leaves you with a short period in which games are identical, no matter the decisions you’ve made. Now, actions and decisions made before this pivotal moment can alter the events that follow, but all paths lead here ultimately. Most games use this kind of narrative, the storyline quests that so often get ignored in pure sandboxes, but there are times where that epic moment changes everything to the point where there’s no going back or wandering off to finish that sidequest you’ve been ignoring. I’ll skim over this because this one’s more of a cheap trick, somewhat less acceptable. False choices are the doors you walk up to that suddenly slam shut and lock you out, or those decisions that immediately kill you or end the game. Arkham City did that with Catwoman’s story at one stage, where she had the option to simply walk away with loot in pocket, but because the game needed you to save Batman the game simply ended there. Sorry guys, given a real choice I’d have taken the money and run. 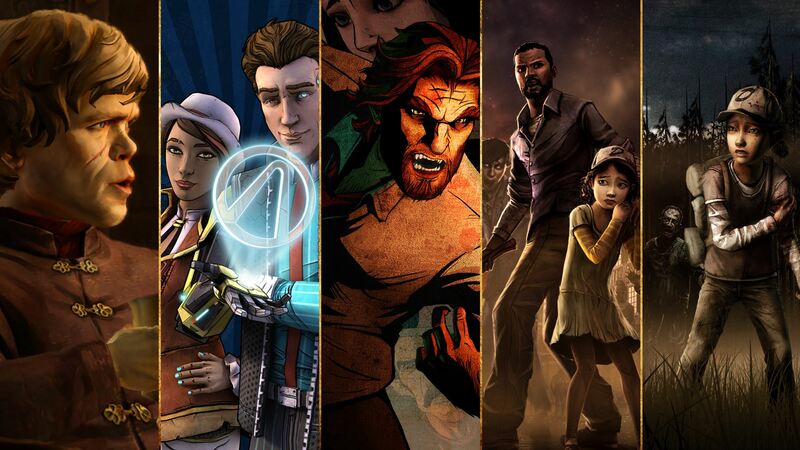 Halflife, Telltale Games, Psychonauts, hell most games will railroad up to a point. When your story is good and worth telling there’s nothing wrong with taking agency from the players in terms of narrative direction. In the drive to create bigger and more incredible games let’s not lose sight of a good story and the ways in which we can tell them, putting the player into the hazard suit of a mute scientist as he weaves through supersoldiers and alien parasites to reach the incredible conclusion of his epic tale (that will have been stuck on a cliffhanger for ten years this October) or filling the boots of the intrepid archaeologist as she shoots her way through adventures far more thrilling than any actual archaeologist would ever encounter. I consider myself a world-builder first and foremost, so I’ll advocate for the ability to wander aimlessly around the whole world and delve its deepest corners and unveil every shred of lore, even if I have to sit and spend time that should be shooting down killer robots reading books on killer robot maintenance. But sometimes when a moment needs to be shared, or an idea is so stunning that it simply must be seen, there’s nothing wrong with putting the plot on tracks and asking everyone to enjoy the ride for a while. Last week I discussed how an excess of choice can bog down a game, force players into disappointing situations and take too long reaching them in the process. Choice is not the enemy of fun, quite the reverse. Being led by the nose down a long and bland railroad is just as bad as standing in the middle of a wide open plane being told to get going. Choices, when done right, empower the player, make them feel as though they are important to the world, and to give them greater control over how they choose to play. Much like Borderlands: The Presequel, The Witcher suffers with high quest density which has made it a little hard for me to enjoy it quite as much as everyone else. 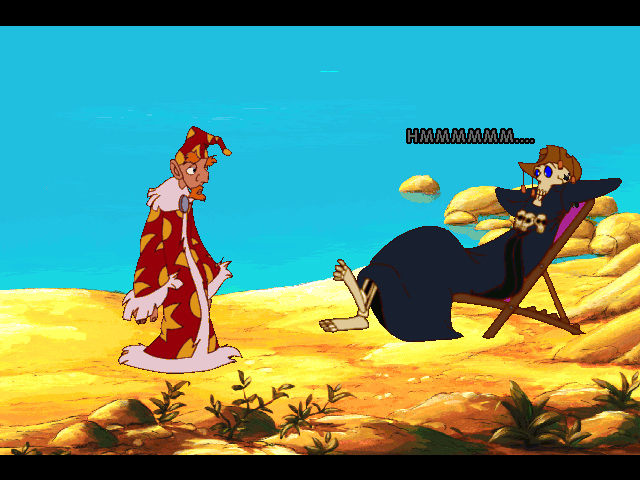 Unlike B:tPS, the story-quests offer cement choices that alter narrative points as you go. Now I base this on my limited playtime of the first game, but I do my research, and it doesn’t take long before your descisions in The Witcher start to have their impact. Where you make your stand at Kaer Morhen leaves elsewhere under-manned, meaning that one of your enemies is free to reappear elsewhere later; your attitude toward the rebel group Scoia’tael in the opening chapter changes the way they behave, their strength, and numbers. Even better, the choices are far reaching, and echo throughout the game, making them feel more impactful. They span games in the same way that a choice might in Mass Effect (but I haven’t even started on Mass Effect so I shan’t go into it) so that your choices give you the sense that the way you guide Geralt changes the whole world. It’s just good design, it makes for a far more powerful narrative, and makes all of those sidequests feel less wasteful. 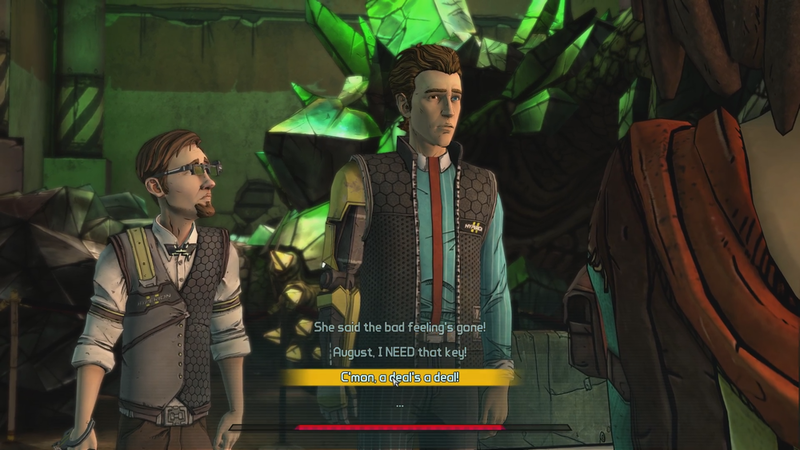 The very format of the typical Telltale format is entirely based on choice. More often than not your only interactions are choosing what you say, indeed whether or not to say anything, and more often than not those sections in which you are not in discussion then there are no choices to make, actions to survive. By the end of the Walking Dead you have changed the life of the little girl Clem; your every conversation in Borderlands changes your party roster in the final fight; who knows how the Batman series will end. Those words seem to echo with every character expression, given that Telltale’s gameplay is it’s narrative a character’s reaction to your descisions is often your win/lose scenario. It’s pretty clear when you’ve hurt a friends’ feelings, and sometimes no decision feels like the right one. Choice as gameplay is an interesting descision but it’s a format that’s working for them. Slightly different to the other two, Shadowrun is better example of agency, the power of the player. In its’ efforts to simulate a real pen and paper RPG, you have a full battery of choices regarding your character’s creation and style of play. It has little to no impact on story but gives you a wider scope on how you engage, especially when taking into account choice of other party members. Do you build for a high-damage gang of mages? Keep the balance of tank/control/damage? It’s a lot more nuanced than your average strategy game where you have clear roles, respond directly to your situation. 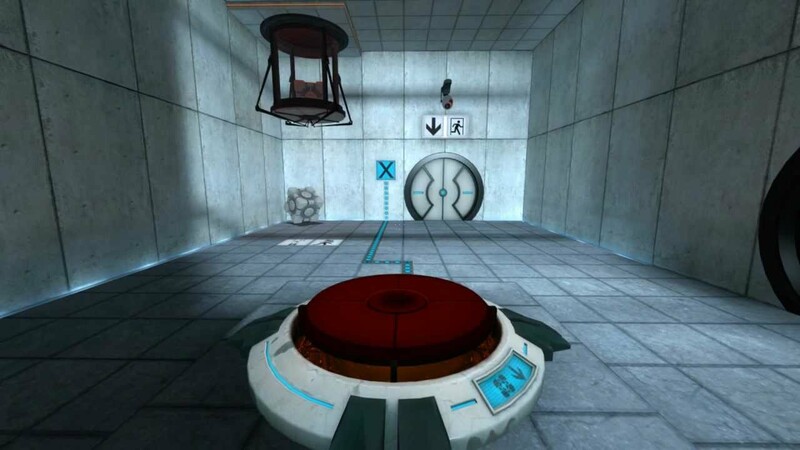 You have various approaches to solving puzzles, hacking, deducing, talking or just plain killing your way through obstacles. Conversations yield different information and alter NPC opinions of you depending how you approach them, and your choice of quests and who to take on those quests can have little impacts on the overall narrative, not a lot, but enough to feel as though you have some kind of power in the world. 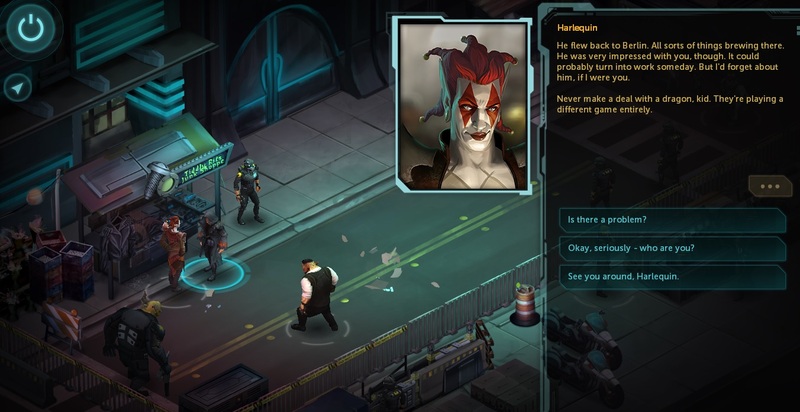 While it can’t quite capture the illusion of limitless options that you have at the table, it offers you diversity in a way that similar games – like your isometric hack-n-slash or more action-focused RPGs – simply can’t, and it’s a radical departure from the decision-focused game styles listed above. Your choice is in your approach, not so much your outcome, and that’s where replay value comes from. Power and freedom stem from the ability to make choices, and while in our modern society we may find ourselves dizzied by the multitude of choices we have, within a well made game we have choices that give us agency. A good game should make us feel important, make us the hero or villain that can change everything with one choice. “The Dream” for me is to write flavour text. A story should grow as it develops, but too often a story can peak too soon and then the climax that follows ends up feeling… well, anticlimactic. Can you have a war in the middle of the book only for the final showdown to take place between hero and villain in a cave somewhere? The stakes could be higher, but the grandeur is lost. When you’ve bested a dragon, can rescuing the princess from the stumpy lord who you passed her onto be just as awesome? Scale can be an important thing to plot ahead of time when preparing any new piece of work, be it the dramatic impact of a scene, the ramifications of a particular deed, or even working out how to leave yourself somewhere to go when you still have a long way to the finish line. In between there must be time to process each event as it passes, a release of tension so that the viewer/player/reader can be built back up, and perhaps further this time. Horror films, slashers in particular do this exceptionally well, each kill is followed by more of the confused and terrified teenagers trying to work out what’s going on in that mysterious old diamond mine, as shadows creep along the wall, strange creeks, plans are made that will inevitably lead to one person being separated from another, or an ominous door to be opened and then BANG! Or possible crunch. This kind of story structure is essential, and not because it’s a familiar and safe format but because the contrast of rise and fall makes each event so much more incredible, and the “come down” gives us a brief moment to feel satisfied before we start the cycle again. Level 1 is practically the same in any fantasy RPG. Goblins, kobolds, giant rats, basically nothing much taller than waste high for a few levels until you can take on something as big as you are, then on to the dragons and whatnot, the big scary things with glowing weak points. The largest thing you’ll face at that stage is another person. Now here we must surely be able to make a few changes. Escalation in terms of threat needn’t only be represented in terms of size, but in terms of cunning or the threat represented. For example, when you’re faced with a dragon your choices are fairly obvious. Point the biggest, meanest, most damaging thing you have at it and pull the trigger. But when your nemesis is little more than a face in the crowd with the power to bring a nation to its knees, you can’t be so forthright in your approach. Many times we see a story about one very particular and seemingly insignificant thing turn into something far more dramatic. Harry Potter can be held up as a prime example, the mystery of the Third Floor Corridor being so very Enid Blyton in its make-up, becoming a step along a path towards open and highly climactic warfare, with clearly marked levels of importance along the way. With each book something more important is at stake: The lives of students, an escaped convict, international relations, soon the very magical governing body becomes the focus of attention. There are only so many times you can save the world. It’s ok to save the farm first, or even save yourself for now until you get the bigger guns to come back and save the world, the galaxy, or even time itself. As the drama increases, so too should the burden of responsibility on your characters, the amount of power they wield in terms of both combative strength and political sway contributing to the tension, the drama, and the scale of the plot. Need I break down episodic and serial storytelling styles? No, I thought not, you’re intelligent people, you don’t need such basic things explaining to you. Ahh, what the hell, I’ve got time to kill. In an episodic series, each episode is a self contained story, beginning and ending within the confines of the time-limit. Usually they’ll present a familiar cast of characters and put them into a new situation. Once the episode is done, all is resolved and reset to square one, like The Simpsons, Star Trek (mostly, but I’ll get to that), or Monopoly. It’s easier to jump straight into an episodic series because you need next to no prior knowledge to follow the narrative. You can discover the characters over time, developing a stronger appreciation for the content as you go and revisiting old episodes to discover what you might have missed, what that scene was really about, what those significant looks meant, or maybe you’ll get more of the jokes than you did the last time around. There’s very little gained or lost by watching episodes in chronological order, but these days there’s less chance of ever missing an episode of anything these days. From the perspective of the writer, it also gives an opportunity to try lots of stories, to truly explore the characters and world they live in by putting them through a wide variety of scenarios that allow both the writer and the viewer to see them from different perspectives, to test their limits and discover their strengths. The problem with such an insular structure is that it can be very difficult to build a well structured story within whatever time-frame you’re working with. Having to foreshorten a story can make it feel rushed, or require unrealistic resolutions to bring it to an end – looking at you Star Trek, you know what I’m talking about! The need for multiple narratives can also put a strain on creativity, which can diminish the quality over time in long-running episodic series. Serial story telling relies on multiple episodes linking together to form a singular story, each picking up from where the other left off and ending openly so that another episode can continue. Usually each episode isolates specific events so that they have natural start and end points, often leading from cliffhanger into resolution rather than from one dramatic lull to the next. The cliffhanger based structure is by far the more common for its ability to make viewing the next chapter compulsive. Especially when comparing television series to films, serial stories have a wide advantage on creating complex and engrossing stories, taking characters on journeys that change them permanently, making them more believable and – generally speaking – more likeable or detestable. We can become invested, form emotional attachments, fair judgements, and even begin to speculate on the future… at length, on forums. However, a serial story can be difficult for new viewers, almost impossible to jump into the middle without getting there the hard way. 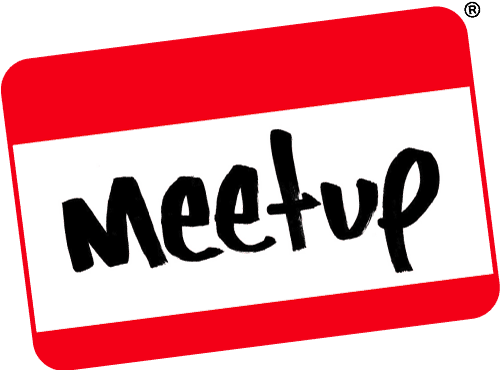 Fans of a series frequently become groups who identify themselves as such, and while the community spirit is great any in-group creates an out-group, and that can be a little exclusionary. The story by its very nature isolates people who might have potentially been fans just for being late to the game. You’ll almost never see any show, book, film or game series that falls completely into one or other category. Episodic series will often introduce new characters, or include stories that extend through multiple episodes to create richer and more dramatic narratives. The dramatic ebb and flow of serials lends them to creating smaller stories, side-dramas and isolated incidents. Dexter and American Horror Story are near perfect examples of half-and-half, each series representing individual arcs with little link between them. The Elder Scrolls is similar, each sequel presenting a new period in Tamriel’s history. Soap operas – as deeply flawed as they are in terms of writing, and a weird combination of stagnation and escalation, like a drowning man fighting harder for the surface – also represent a neat balance between episodic and serial structure. The proper name is serial drama, but within them are layers of stories interacting and character groups going through isolated stories that might last months or years, rise and fade as events demand. There is no end, no conclusion in mind, only one story leading into a different story. It’s worth considering how the differences in structure can effect design in your own creations, especially if you have plans to make them extensive. Games having varied length of gameplay allowed writers a lot more freedom regarding their story but had to incorporate interactivity, and ways in which the player can impact on the stories they create, and now episode-based game series are on the rise they bring their own alterations to the structure. More and more film series are structured so that they link together, such as the MCU, planned series and two-part films. The internet itself is changing the way we tell stories, with instant-release series the nature of the writing has become very different. As a D&D player it’s interesting for me to create stories that can vary in length from a single session or one-shot, or creating story arcs that form the length of a campaign despite being contained within themselves. A P&C has a tendency to be a fairly linear game-style, moving from puzzle to puzzle, unable to progress to the next until the first is complete. More often than not you’ll be able to resolve multiple puzzles alongside one another, so if you’re stuck on one you can move to another for a while, so on, so forth. This kind of progression is not for everyone but it offers the genre one fantastic opportunity, cohesive and consistent story telling. 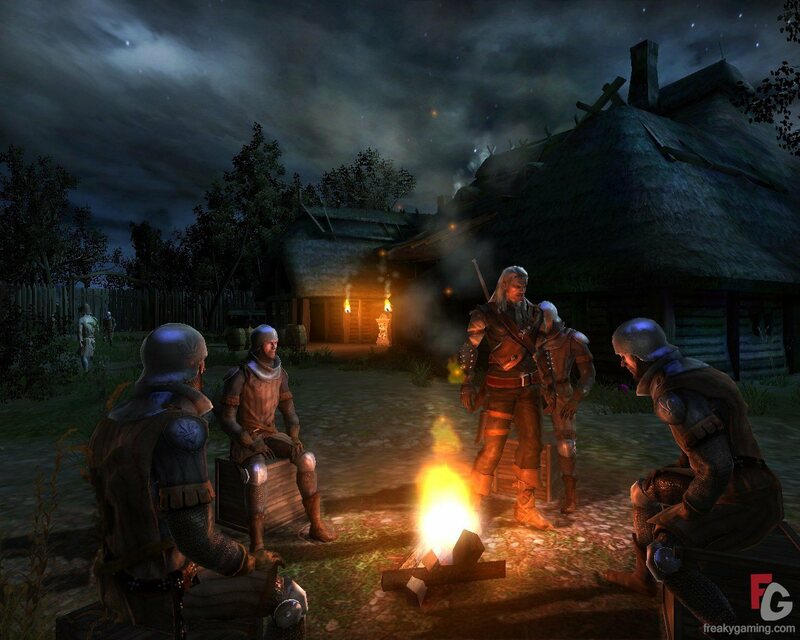 RPGs offer a similar experience, although rarely is the story quite so imperative. As in the film industry action often draws some of the priority away from the story, although time constraints aren’t a factor as they are in films, story requires a break in action, and the more story the greater the pauses in between action opportunities. It’s very difficult to weave both together simultaneously, and doing so often detracts from one or the other experience anyway. That’s not to say of course that puzzle-solving is not without its’ deficits. Getting stuck on a puzzle can often lead to rage quitting which has a tendency to break the flow of narrative rather devastatingly, but they are advantaged heavily by the fact that the entirety of the gameplay (at least in a well designed game) is part of the story itself. Myst III Exile is a prime example, each age visited is supposed to teach a valuable lesson that led the boys Sirrus and Achenar to a corrupted conclusion, and their vengeful victim Saavedro uses those lesson ages to teach Atrus a lesson of his own. Each puzzle develops the ages as a rich and living world, every step uncovers some new dark truth about the arcing legends surrounding the series, and of course as with every Myst game there are books dotted around to add to the experience. That’s not to say that the relaxed pace of a P&C makes the storyline any more memorable, indeed RPGs and FPS games have the advantage when they successfully blend action and narrative in creating more dramatically tense moments that stay in our minds that much better, but depending on how you play can make those moments few and far between, or readily clicked-through distractions to the bloodshed and looting. And what of other gaming genres? Is the platformer limited entirely to the story of “Try the next castle, swear I saw some shady looking dragon-turtle going in there!” Does strategy remove you too far from the personal experience to offer a rich storyline? Or does the scale of forces only add to the opportunities for grandiose moments of significance? I open the question then to you, humble reader (or arrogant reader, I don’t judge), what narrative devices do you enjoy in games? What genre do you think best suits the story tellers art? Naah! I’ll just tell you. It’s tabletop, it’ll always be tabletop! But hey, the question’s out there.